NEBRASKA’S JUNK JAUNT® is always held the last Friday, Saturday & Sunday in September in scenic central-Nebraska. The event encourages both residents and businesses to participate by having yard sales, sidewalk sales, special promotions, and events. Click on the town names (below) for interactive Google Maps for driving directions, and advertised businessesin each town. Click on “Print a community map” (some locations do not have community maps) to download an individual map suitable for printing. 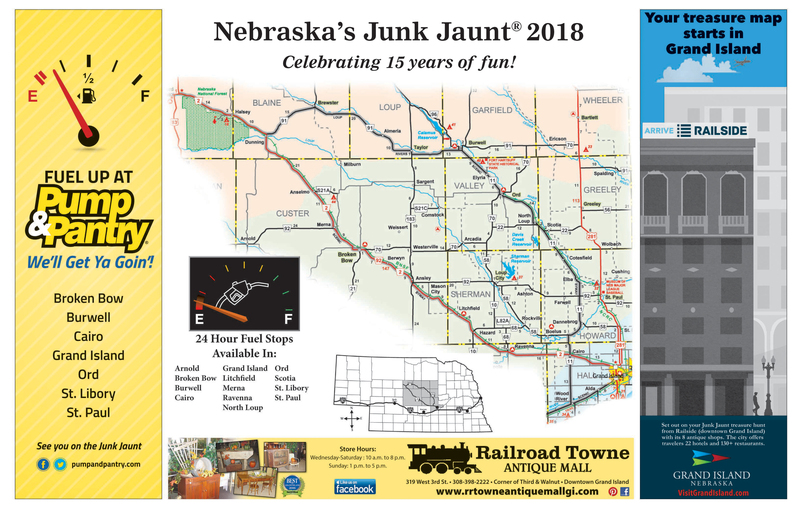 Of course, if you have a Junk Jaunt® Shopper Guide, you will already have the maps for each participating town, plus a list of all registered vendors and some of the items they will have for sale. Bright colored, PROFESSIONALLY PRE-PRINTED signs will be displayed by all registered vendors. The color of the signs and the pre-printed designs on them will change each year but it will not take long to discover the “NEW ONES” for this year. It is our hope that you will patronize the registered vendors and bypass the “look alikes”. 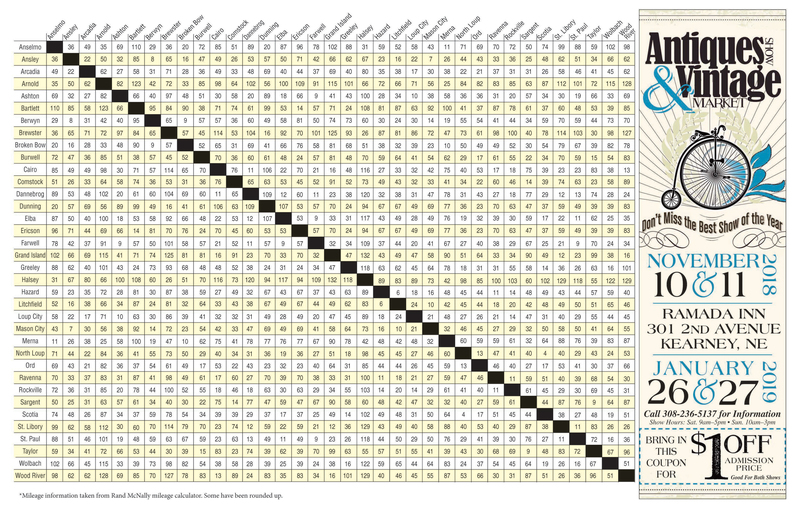 Those who register are the ones who keep the JUNK JAUNT® going strong. Many “Junkers” tell us this trip was their best vacation ever!